Carpenter bees are often confused with bumble bees, due to their size, color, and shape. They are both fuzzy, approximately 3/4″ long with yellow and black markings. The major difference is their abdomen. The carpenter bee’s abdomen is bare and shiny black; bumble bees have a hairy abdomen, normally with yellow markings. 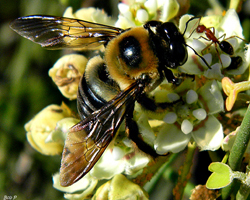 Carpenter bees, unlike most other species, are solitary bees. They build their nests for themselves and to feed their young. Carpenter bees get their name from their practice of drilling holes into wood. They do not eat the wood. They either discard it or use it for nesting material. Nests can be found in tree branches, eaves, window trim, fascia boards, siding, wooden shakes, decks, beams and outdoor furniture. This does not usually cause structural problems, but the holes can be unsightly when on your home. Unlike most other species, carpenter bees continue to use these cavities year to year, usually hibernating in the nest over winter. 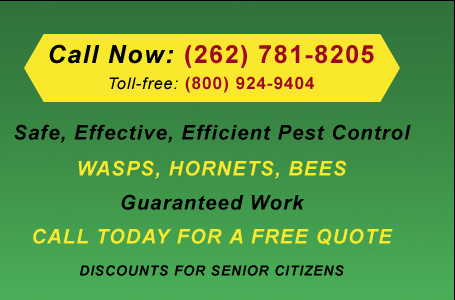 Most people come into contact with male carpenter bees. However, males do not have a stinger, therefore cannot sting. Females will sting, but usually only if greatly threatened. 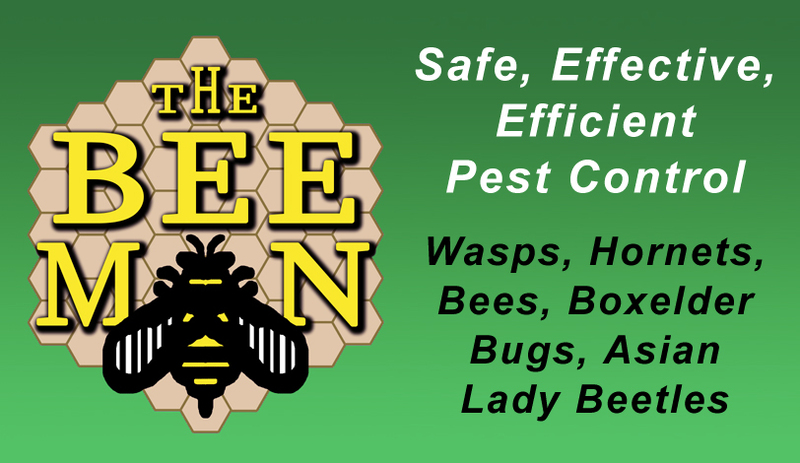 Due to the damage done to homes, exterminating carpenter bees may be the only solution. Please contact our office for more information.